Kyle. Photo by Jacob Wassmer. Kyle has been having one hell of a year. Since his 2016 stop at The Granada, the Los Angeles rapper has released an impressive string of singles that includes "iSpy," a platinum hit featuring Lil Yachty. Kyle and his best pal Brick rolled through Lawrence again, whipped out their trusty surfboard and synchronized dance moves and drove fans wild. 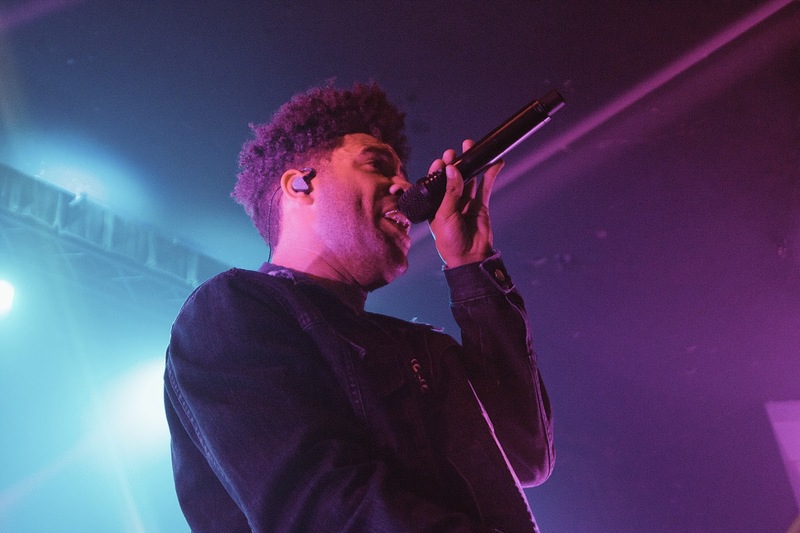 Kyle enlisted Boston rapper Cousin Stizz for support. Stizz's style has a much grittier sound than the playful tunes that Kyle cranks out, but the up-and-coming rapper's appearance was a thrill nonetheless.